Best all around winter boot I ever owned. Comfortable, not too hot with indoor use. Great grip and look halfway decent even in dress pants. AND, they are the perfect snowshoe boots. I've had these Snowburbans for four years and they replaced some LL Bean Wildcats. The Wildcats are warm and comfy, but big and bulky, made to put one when you go out and take off when you come in. The Wildcats work for snowblowing nowadays, but your feet will cook in them and you tend to clomp around in them. 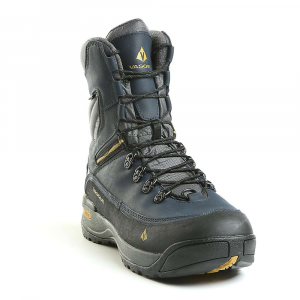 In comparison, with the Vasque Snowburbans, you put them on in the morning, wear all day, and take off at night. You can go to work in them, then snowshoe in them, or hit the bar or restaurant, and not feel out of place or uncomfortable clomping around. I like them so much I bought a backup pair for when these wear out in four or five years. There was no appreciable break-in period. I have used them in double digit below zero snowshoeing and never had my feet get cold and then gone inside to a bar and not had my feet cook. I do use a layered sock approach though with a polyprop or silk/blend base and high quality socks over when I snowshoe in them. So, don't get them too tight. They are rugged leather uppers that don't show damage even after four years so durability has been very good including the soles that show surprisingly little wear. I've stepped in it, so to speak, at below zero through ice on a stream and voila no moisture inside and they were two years old at that point. That one made me nervous as I was a couple miles out in Yellowstone. No problem. The soles have great grip on a slick parking lot or going up some rocks with nice flexible ankle support that doesn't hinder movement. I have heard some with higher arches can have issues. For me they are perfect for long distances with perfect support and no blisters etc. The only negative I've heard is the lacing system. They don't have easy loops or other goodies just leather loops and regular eyes lower down, so they tend to be a little more difficult to take off and this bothers some, but you never have them come untied. I just learned the quirks of the system and know that when I take them off I pull out quite a few inches of slack down to the eyes and pulllll... So, this is a minor inconvenience in the face of an almost perfect boot. So glad you love them too! I often recommend this boot to fellow snowshoers. Hmmm, maybe I should get a backup pair! I bought a pair a year or 2 ago but after a few shortish snowshoe treks found that Vasques are just a little too narrow for me at the end of the day (had the same thing happen with wide St. Elias GTX.) Thankfully I bought them at REI. 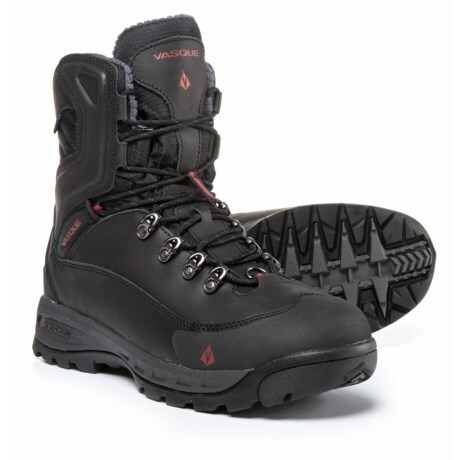 I purchased these boots when I realized that my low-hikers, despite applications of chemical waterproofing, were definitely not going to keep my feet dry on winter hikes, snowshoeing, and during slushy spring hikes. I decided to splurge, and shell out the bucks for these boots, and I am extremely satisfied...they are great boots, and well worth the investment (though at first the name "Snowburban" put me off...sounded too much like suburban!). I purchased these boots just over a year ago, so they have seen nearly daily use from January to April, and then again since last November. 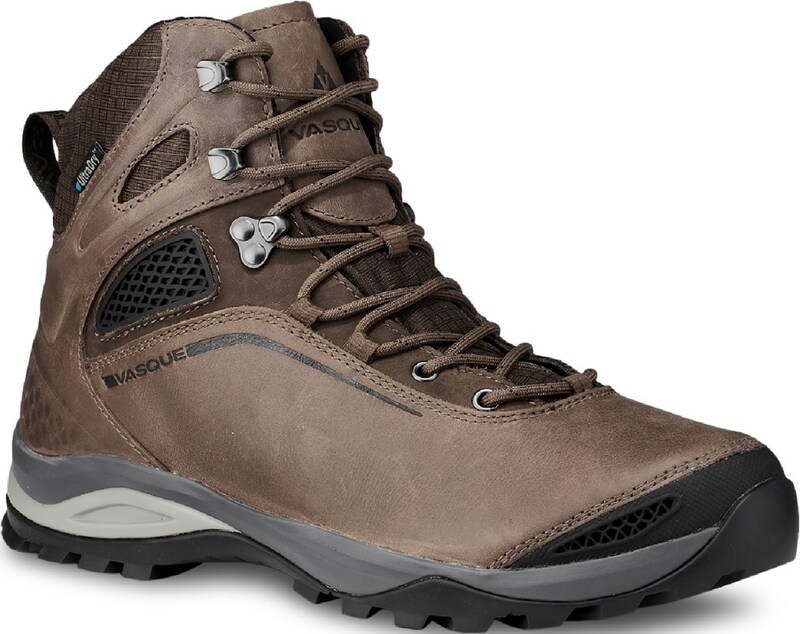 There was a very brief (2-3 short hikes) break-in period, but I very quickly realized these would be very comfortable, and solid boots for me. They weigh in at 1lb 13 oz. per boot. To me, they seem quite light, and I never feel as though I am wearing concrete blocks on my feet (as I have with some other boots!). These boots are extremely comfortable. Initially I was concerned that they may be "too high", but the upper material has some nice flexibility, yet provides good support. They are warm, but not oppressively so; I have used them in temperatures from minus 20 (f), to 40 degrees (f), with only a light or mid-weight hiking sock. 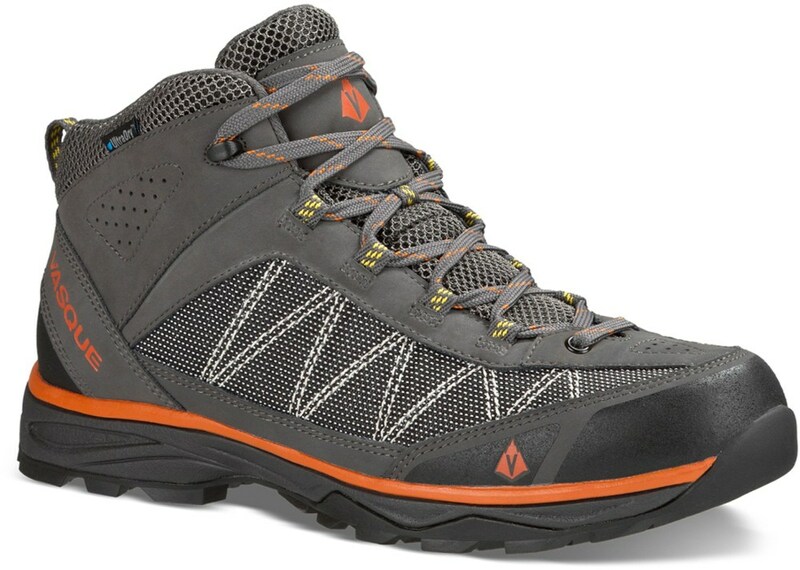 I use the boots for Microspikes hiking on icy,hard packed snow, or shoulder-season conditions of slush/ice/mud/snow, and they provide a good, secure feeling, and my feet have never gotten wet. In the winter, I also use them frequently for snowshoeing, and they have served very nicely. 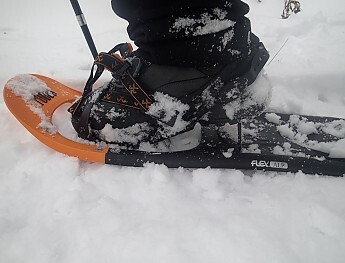 The molded heel helps the snowshoe strap stay in place. 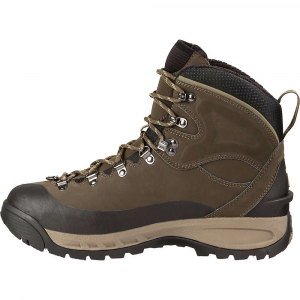 There is a small d-ring on the base of the laces, for attachment of gaiters. When I use the boots w/o snowshoes or spikes, they appear to have a good traction sole, yet do not collect lots of mud or snow on the sole. I would certainly recommend these boots to others. Nice review, Shelia. Thank you! Thanks for the review, Sheila. I had the same initial reaction to the name. I'm glad they've worked out well for you. Insulation? If so how much? Removable liner? 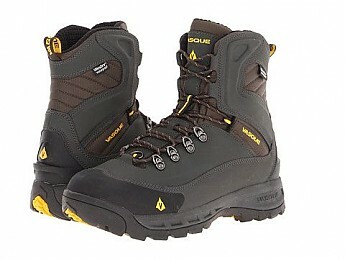 I want winter boots with a good insulating removable liner like Sorel felt pacs or my Scarpa T3 backcountry ski boots. Liners come out at night and into my sleeping bag. In the morning I have very warm liners to use. NO frozen feet. OK, for "day boots" where you can dry them out at home overnight. 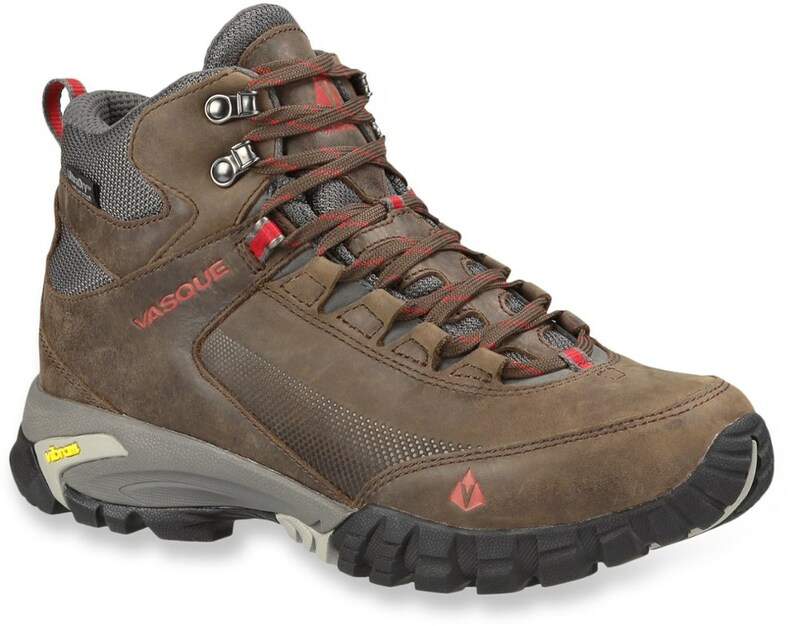 I had a pair of Vasque Hiking boots and when they wore out after 10 YEARS, I found a pair that appeared to be identical (used) and bought them. I was surprised to see how much lighter they were. They have some great new light weight tech. I used the second pair for 5 years and gave them to a friend (they were still going strong). I've had great experiences with Vasque. 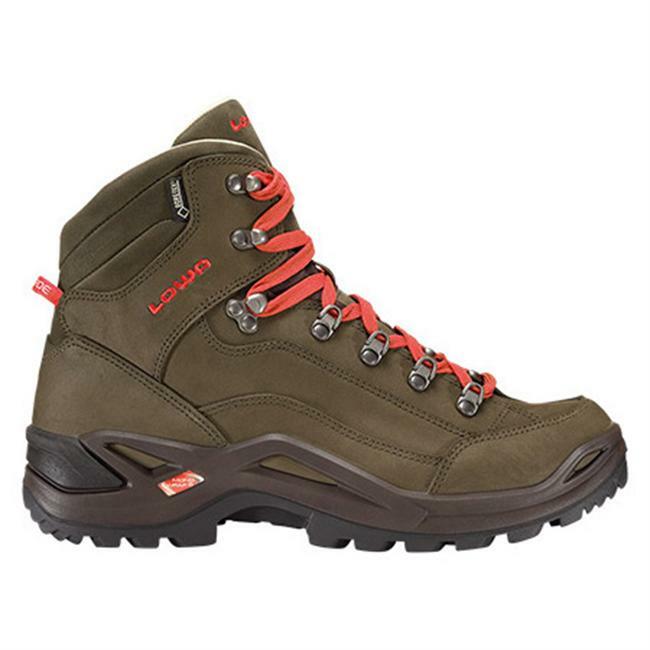 These are great...this time of year everything is wet and gooshy, and these boots are light, and wonderfully waterproof. They show so little signs of wear,even after 2 full seasons of use. The Snowburban UltraDry has been discontinued. It was replaced by the Vasque Snowburban II UltraDry. The Vasque Snowburban UltraDry is not available from the stores we monitor. It was last seen February 11, 2019	at Sierra.